Xtreme Couture athletes had a tremendous weekend in competition. Gym members went 7-1 at Friday Night’s Tuff-N-Uff show at the Tropicana. Kimo Yadao kicked off the night with a hard fought decision victory. Fellow Hawaiian Chance Torres followed his lead in the next match winning by Americana in the first round. Weston Dushen won via ground and pound in the second round of his fight. Jimmy Jones suffered the only loss of the night, losing to a D-I wrestler who racked up a number of takedowns. Jimmy didn’t suffer any damage on the ground, continually fought back to his feet and delivered several exciting kicks and combinations. But the numerous takedowns were enough to win the fight. Kui Gonsalves-Kanoho wasted no time in his fight scoring the Knockout of the Night in 7 seconds. Mark Phan scored a unanimous decision win and in the Main Event Brice Ritani-Coe KO’d his opponent in 20 seconds. For full results check out the Tuff-N-Uff website. Saturday night was more of the same with the newest member of our team Goran Reljic scoring a second round TKO. He showed tremendous heart, battling back to beat Wilson Gouveia a highly regarded UFC veteran. Later in the night Wanderlei Silva brought the capacity crowd at the MGM to its feet with a vintage performance against Keith Jardine. In classic axe murderer fashion he rocked his opponent then went in for the kill. It was a great night for Randy and Shawn Tompkins who coached both Goran and Wanderlei. Here’s some video of Wanderlei Silva sparring with Coach Shawn Tompkins. Wandy is getting ready to take on Chuck Liddell December 29th at the MGM. Wellington, Fl – MMA enthusiasts and Pro-Fighters in Florida have a new mecca. 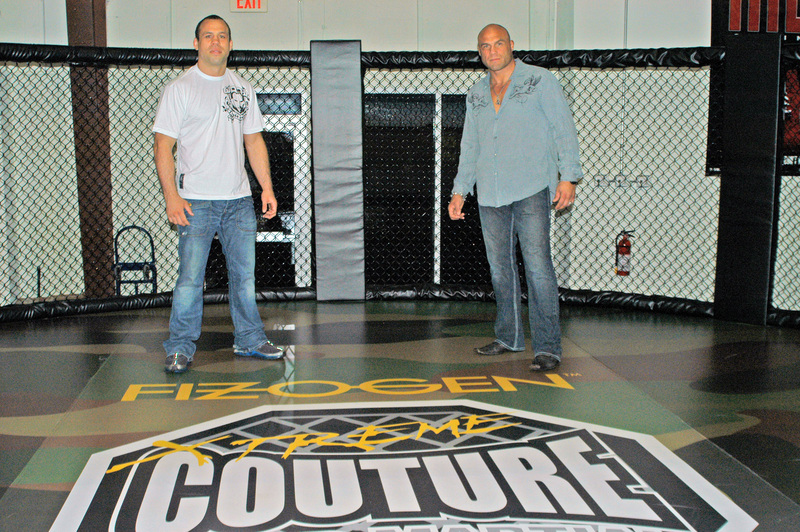 It’s called the Fizogen-Xtreme Couture MMA Fight Training Center. Located in Wellington, FL the gym has 7500 square feet of space for training in the Mixed Martial Arts. It comes equipped with a ring, a circular cage, a fenced in grappling area and world class strength and conditioning equipment. On hand for the Grand Opening, that attracted more than 700 people, were UFC Champion Randy “The Natural” Couture and Wanderlei “The Axe Murderer” Silva. 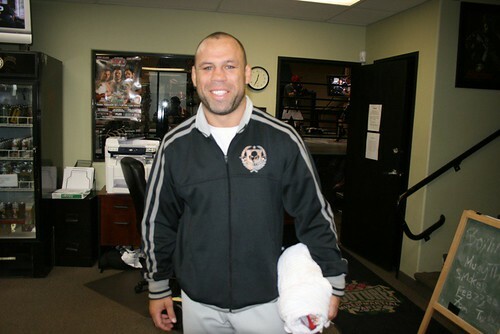 Wanderlei took part to support Fizogen, one of his sponsors. The former PRIDE Middleweight Champion liked what he saw, saying, “It’s a very good gym, with a good space made for people who want to be professional fighters. They have everything, a cage, a ring, mats, weights, bags, etcetera. It’s also a palce for regular students to train, get in shape and make friends. I hope all students who become part of this team train very hard and are proud of this gym because this is one of the best gyms I’ve ever trained in. 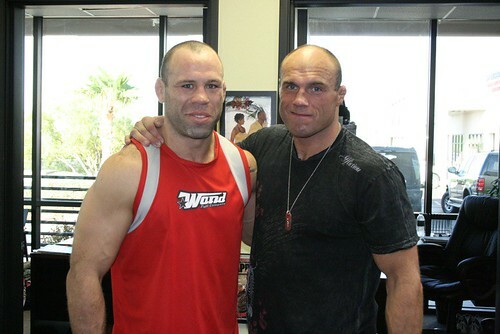 Randy had this to say about working with Wanderlei Silva, “I look forward to working with Wanderlei again both in the business world and as he transitions into the U.S, and on the mat in the training environment. He is a true warrior and a gentleman. ” Stay tuned to this site for more info on what these two superstars have in store for the future.